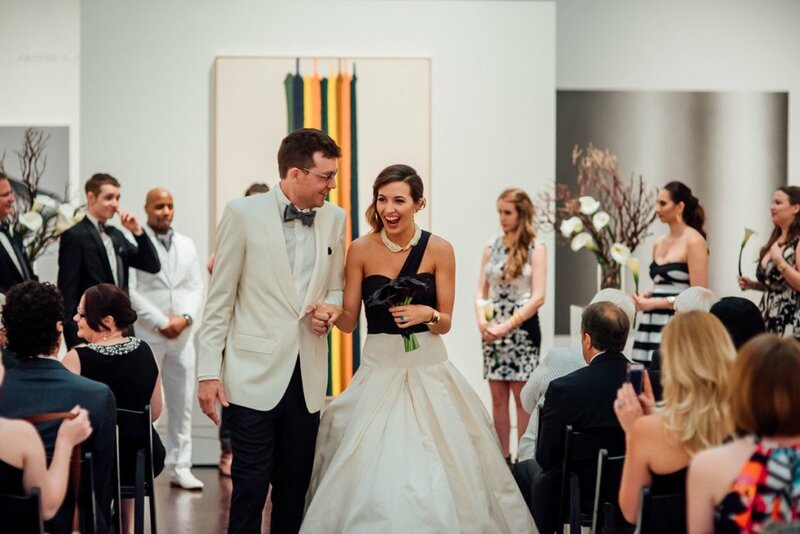 Imagine getting married wearing a black and white Vera Wang dress surrounded by your favorite art from around the world. 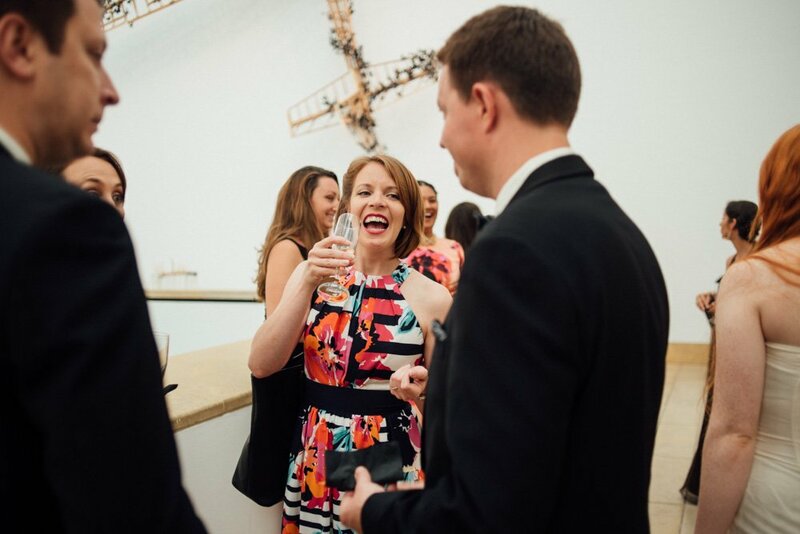 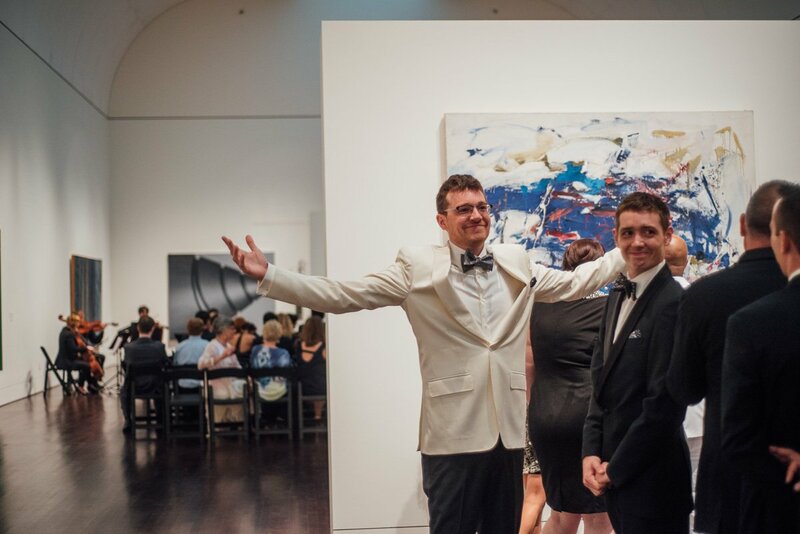 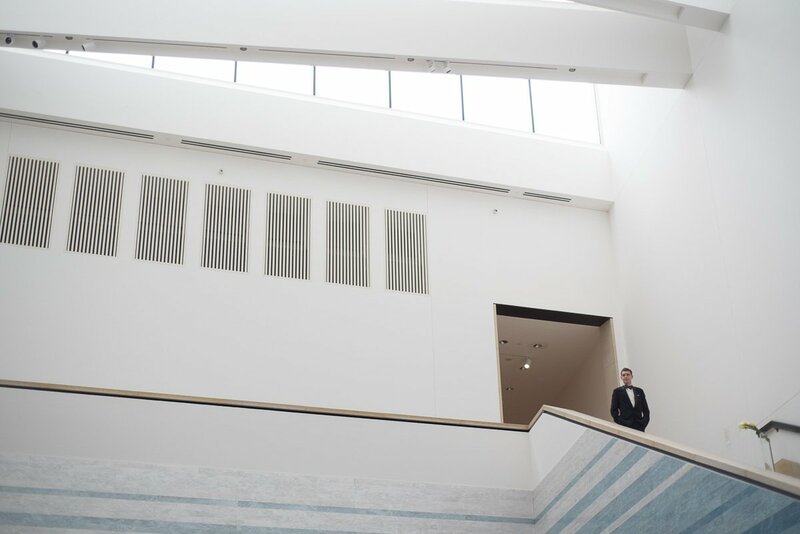 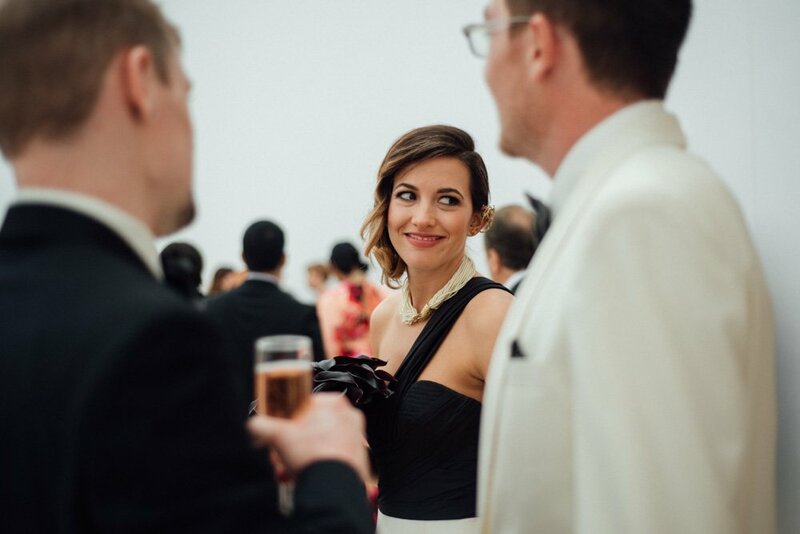 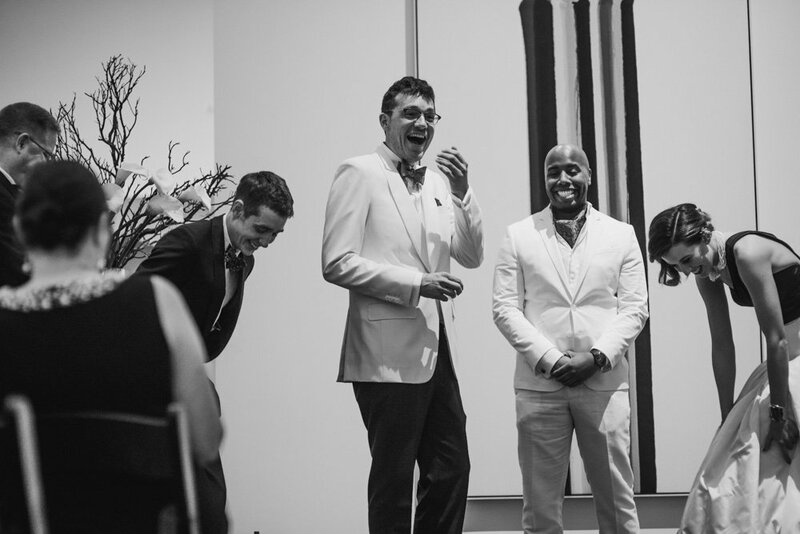 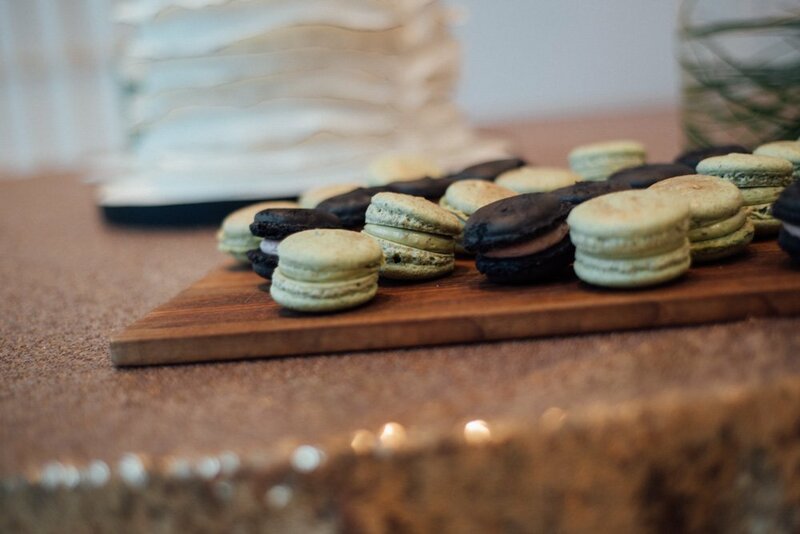 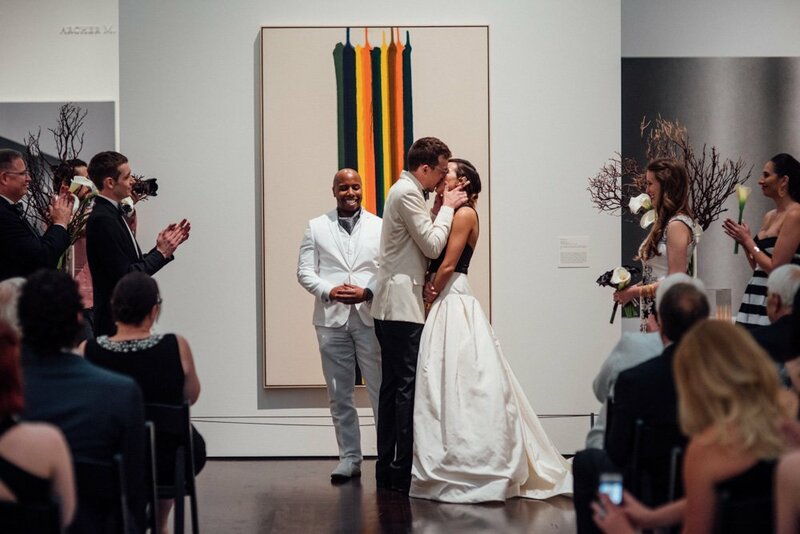 That’s exactly what Kate & Brad did at their Blanton Museum of Art wedding last summer. 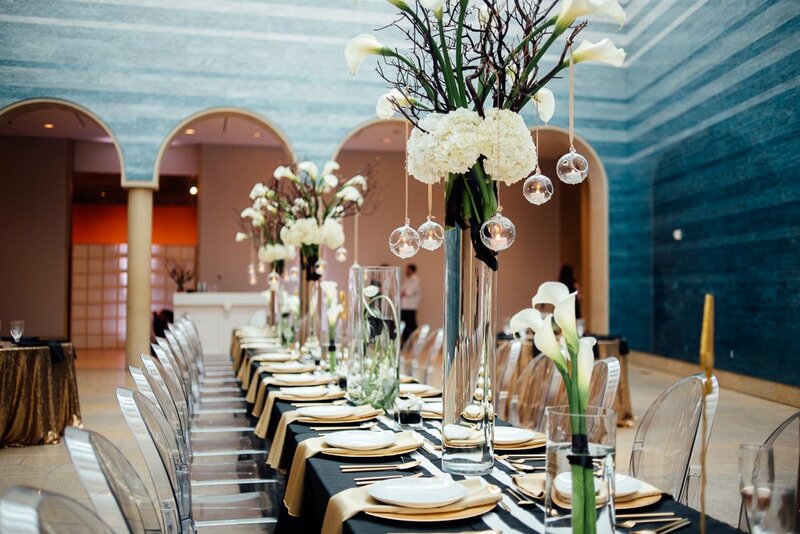 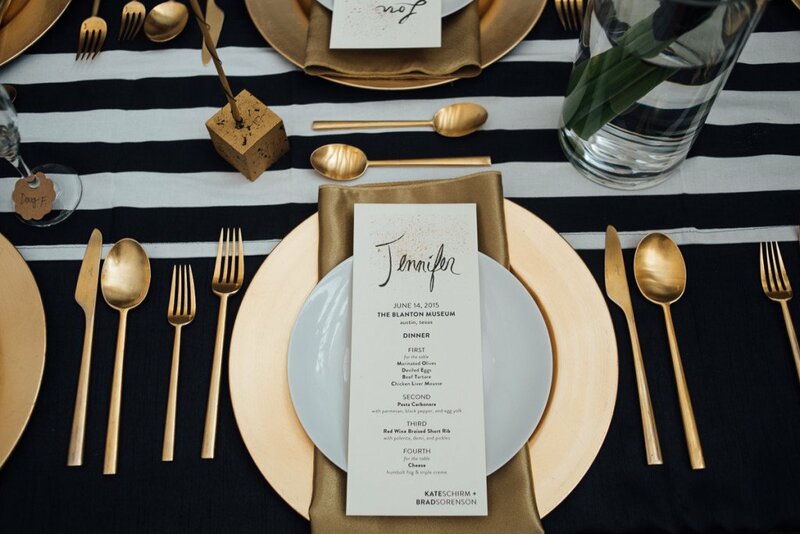 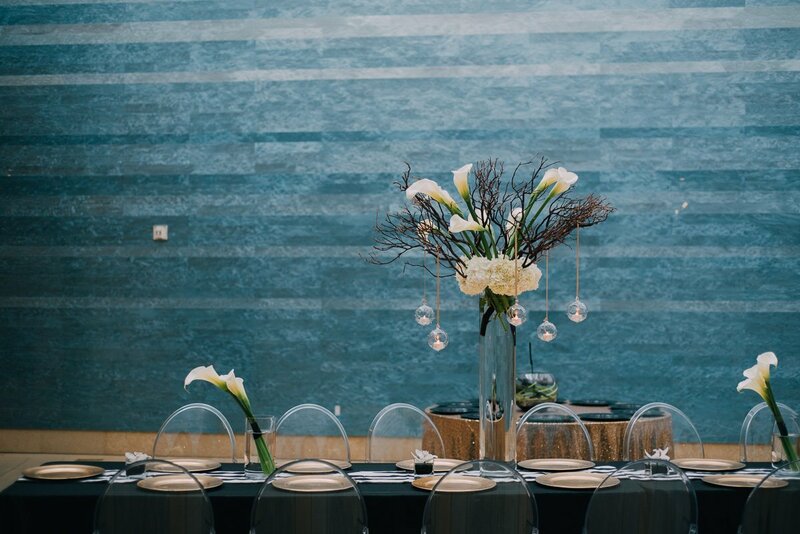 Keeping with the black and white theme to their table inspiration – the 12ft long table featured striped table runners and white Calla Lilies for tall, minimalist centerpieces. 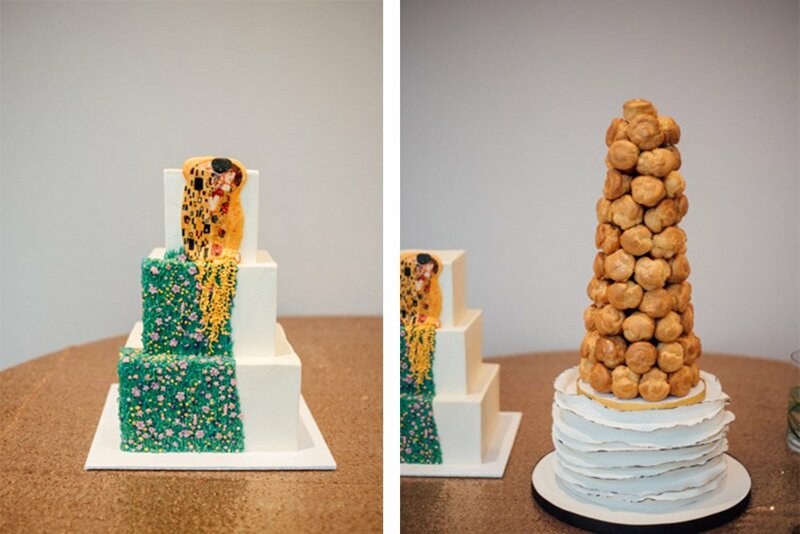 The bride chose a square, tiered Klimt cake to tie in with the museum’s modern art collection. 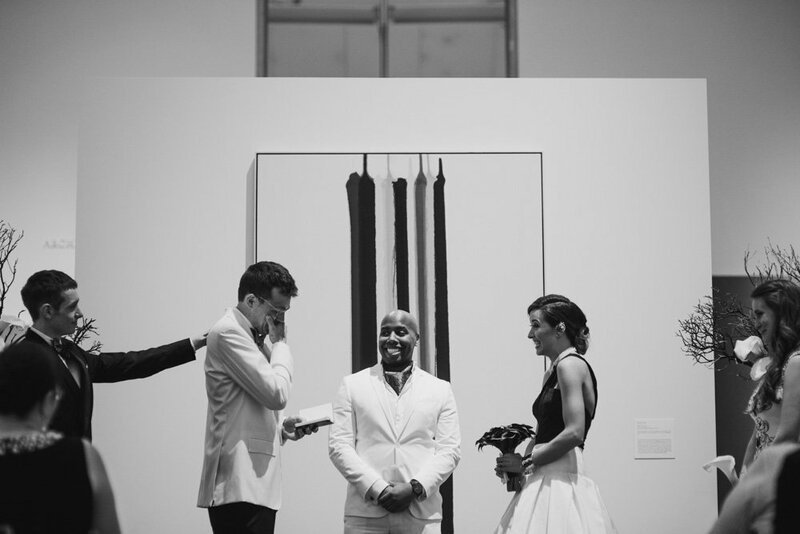 This wedding I second shot for Elissa R is one of the most unique and fashionable weddings I’ve ever shot.